Decorating ceramic murals reveal the fulfilment of the craftsman and the perfect expression of his art. They reflect his talented drawing skills and use of colours, as well as his sense of harmony. 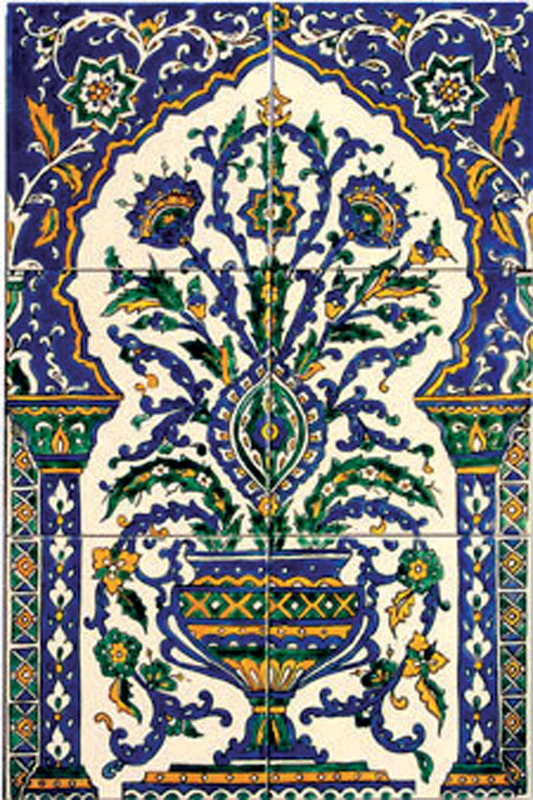 In the sixteenth century,the rich Ottoman architecture gave birth to imposing projects of ceramic covering in various regions of the Ottoman empire. 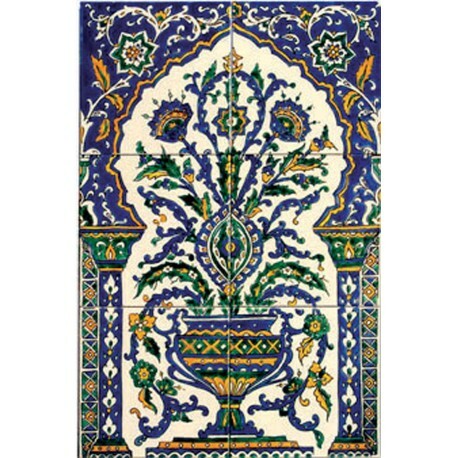 Both religious building and palaces were often coverd with ceramic murals adorned with exquisite arabesques in dazzling colours. During the 17th and the 18th century referred to as the qallaline period, Tunisian ceramists developed the most beautiful ceramic murals coloured in a characteristic array of bright hues. Today , these panels still embellish the walls of ancient buildings and sacred monuments. A beautiful collection of typical tunisian murals is also on display in our national museum. This repertoire inspired us to try to reproduce some samples of our ceramists magnificent legacy, and to reinterpret some others, hoping that you might get a sense of its infinite wealth.